Word Sunday. Click on the Sunday’s date to the left, then click on each Reading for commentary. The Center for Liturgy. Click on the Sunday Web Site in the first paragraph, then chose the Sunday. Catholic Culture. Click on the current Sunday’s date for commentary on the Sunday’s readings. Since the spring of 2007 St. Jerome’s has offered Tuesday Bible Study programs after the 9:00 AM Mass. Study programs last 8-11 weeks. Our 60- to 90-minute sessions use video presentations, small group discussions, and structured at-home reading and study. A Study Kit is furnished free-of-charge to all participants. Bible Study sessions have covered The Old and New Testaments (Spring and Fall 2007 and Fall 2011-Spring 2012), The Gospel of Matthew (Spring and Fall 2008), The Book of Revelation (Spring 2009), the Epistle of James (Fall 2009), the Psalms (Spring 2010), Exodus (Fall 2010), First Corinthians (Spring 2011), the Gospel of John (Fall 2012), The Jesus of Scripture (Spring 2013), Great Biblical Stories (Fall 2013 and Spring 2014),and Resurrection and the Afterlife in the New Testament (Fall 2014). The Women’s Scripture group has been active since 1994. There is a morning and an evening session. Each meets once a week to pray and to explore the readings for the upcoming Sunday. 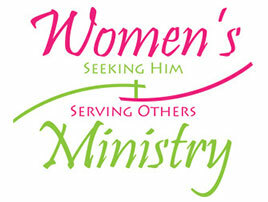 The Women’s Scripture group has been active since 1994. There is a morning and an evening session. Each meets once a week to pray and to explore the readings for the upcoming Sunday. Both sessions operate on a come when you can basis. You don’t have to be a parishioner or even a Catholic to attend, however, most of the readings are from the New Testament, so the sessions are for Christian women. 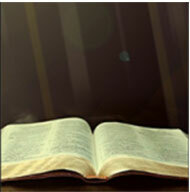 We begin with prayer then silently read the first reading, usually from the Old Testament. Someone then reads it aloud before we share our thoughts about it and reflect on its relevance to our faith journey, our daily life. We do the same with the Second Reading and the Gospel and end with prayer. Missalettes are provided. Obvious benefits of participation are preparation for the Sunday liturgy, a better understanding of the readings and their application to the present, and the deepening of our faith. Close bonds are created as we become a community.